The Polish independent CD label, Bôłt Records, is one of the most inventive both inside and outside Poland. Not only has it reissued recordings of key experimental works from the 1960s and 1970s but it has also given recording opportunities to current composers and performers to revisit such pieces. 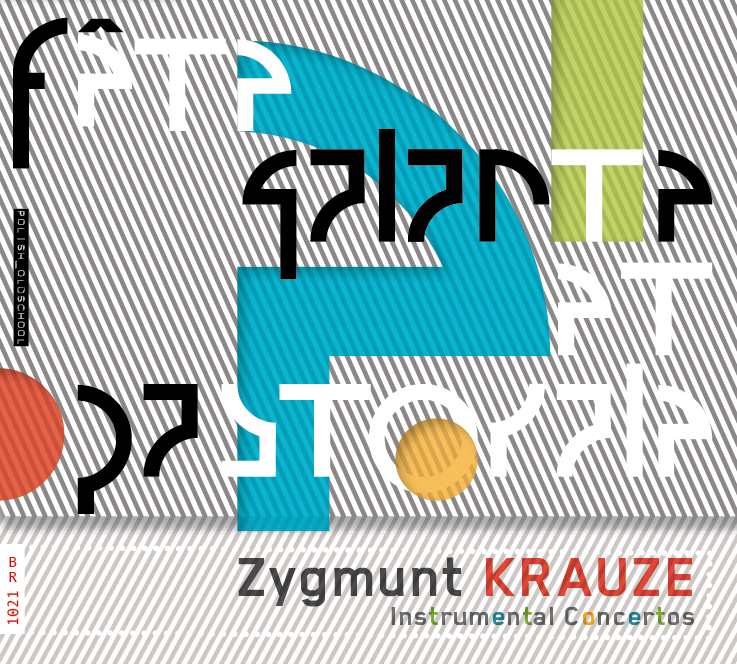 One of the composers on whom Bôłt has focused is Zygmunt Krauze, five years younger than Penderecki and Górecki and just as distinctive a figure. This CD, for which I wrote a short appreciation of Krauze’s music, presents archive recordings of four works from 1975-80, a significant period in Polish musical and cultural life. Here’s the link to my appreciation for this new Krauze CD, or you can scroll the CD NOTES tab above. Today is the 25th anniversary of the death of Górecki’s near-contemporary Tomasz Sikorski (1939-1988). Yesterday marked the third anniversary of Górecki’s death, but some sources (Wikipedia) also give yesterday as the date of Sikorski’s death, while others (Encyklopedia Muzyki, New Grove) give tomorrow, 14 November. 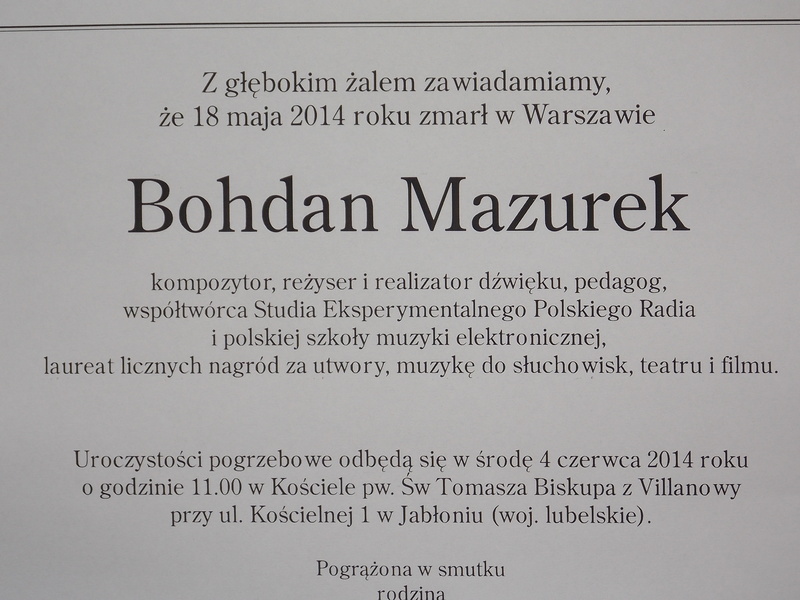 The most reliable Polish sources (Encyklopedia Muzyczna, Polish Music Information Centre POLMIC, PWM) give today, 13 November. Sikorski was and is one of the most singular voices in post-war Polish music and it is good to see that he still attracts a devoted following, not least through recent releases of his work on Bôłt Records. When I was in Warsaw in January I went to a recital of some of his pieces by his friend and lifelong advocate of Polish piano music, the Hungarian pianist Szabolcs Esztényi. 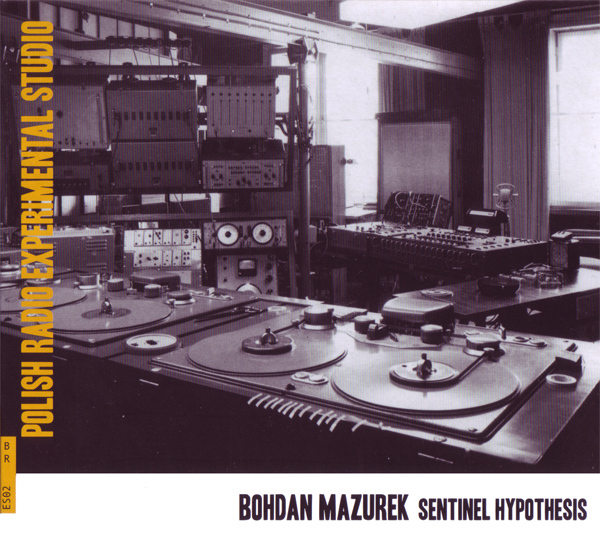 The event marked the recent release of two Bôłt CDs, issued in partnership with several like-minded advocates such as Polish Radio 2, Polish Radio Experimental Studio, Foundation 4.99, DUX records, Bocian Records and the journal Glissando. Sikorski’s music is/was published by PWM, Author’s Agency (Agencja Autorska), Moeck and Edition Modern. Solitude of Sounds. In memoriam Tomasz Sikorski (DUX 0936/0937) is a 2-CD set that also includes pieces by Esztényi (Created Music no.3 and Concerto) and Kasia Głowicka (Presence). The Sikorski pieces are Echoes II (1963), Antiphons (1963), Solitude of Sounds for tape (1975) and Diario 87 for reciter and tape. Sikorski himself performs on the first two of these archival recordings, and Esztényi writes a penetrating and disturbing recollection of his friend, who died in unexplained circumstances aged just 49. The second CD marks another, if briefer friendship, this time with forged with John Tilbury (b.1936), who met Sikorski in Zbigniew Drzewiecki’s piano class at the Higher School of Music in Warsaw in the early 1960s. Tilbury’s CD For Tomasz Sikorski includes recent recordings that he made of his friend’s Zerstreutes Hinausschauen (1972), Autograph (1980) and Rondo (1984) plus his own Improvisation for Tomasz Sikorski (2011). For what they’re worth, here are two passages from my book Polish Music since Szymanowski (CUP, 2005), pp.213, 219-22, which discuss Sikorski and, initially, his contemporary and closest friend, Zygmunt Krauze, who happily is still very much with us (we met in Warsaw last Saturday). If sonorism of the Pendereckian mould emanated from Kraków, Warsaw maintained a polite distance, preferring, in the music of Lutosławski, Baird, Serocki and others, to develop a closer architectonic relationship with detailed rhythmic and pitch organisation. 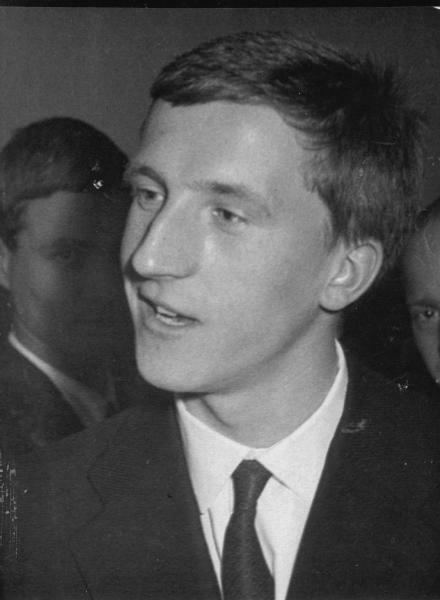 Of the younger Warsaw generation who graduated in the 1960s, two composers quickly became pre-eminent: Zygmunt Krauze and Tomasz Sikorski (1939-88), son of the composer Kazimierz Sikorski. They were both his students, the latest in a line that already included Bacewicz, Baird, Kisielewski, Krenz, Palester, Panufnik and Serocki. From the beginning, they each showed a determined individuality which defined a different stream in contemporary Polish music. Tomasz Sikorski’s contribution to Music Workshop [Krauze’s pioneering ensemble of clarinet, trombone, cello and piano] reinforces the essentially minimal ethos not only of much of the music promoted by the ensemble but also Sikorski’s own distinctive voice. This he established in a series of works in the mid-1960s – Antiphons and Echoes II (1963), Prologi (1964), Concerto breve (1965) and Sequenza I (1966) – in which the music proceeds by means of chains of small ad libitum fragments grouped in larger sequences. The quasi-improvisational chordal fragments are deployed antiphonally or as live or tape playback echoes in a reiterative heterophony that is obsessive and, like some of Krauze’s pieces, achieves a disembodied, altered state, particularly in the cumulative resonances and polymorphic character of Antiphons and Echoes II. Prologi is characterised by its mix of triadic ideas, diatonic scales and more dissonant material; his use of four-note cells, constructed from pairs of perfect fourths, is a feature of this and other compositions, where tritonal harmonies or pedals become a regular feature. 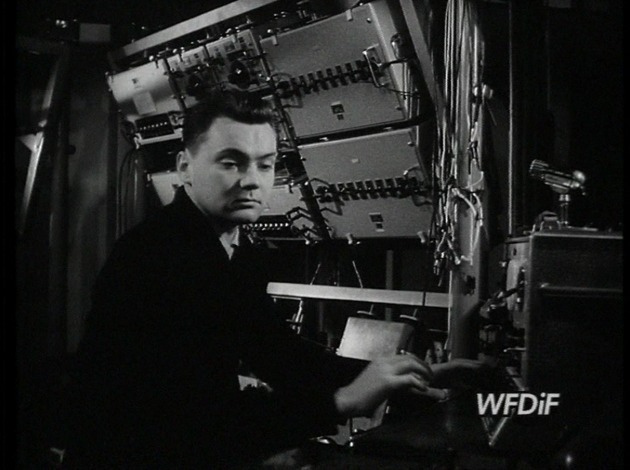 Homophony‘s instrumental forces reiterated Sikorski’s lifelong interest in specific timbres (it is scored for twelve brass, piano and gong) and he reinforced his fascination with the interface of diatonicism and dissonance in utilising a six-note bitonal chording, a combination of first-inversion G major and second-inversion B flat minor triads. His fundamentally diatonic language is particularly evident – even exposed – in the pared-down minimal reiterations of his Music Workshop commission, Untitled (1972). He had, by this stage, defined his musical persona as uncompromisingly austere in terms of both material and its deployment and of the timbral-expressive world which he explored (cf. Górecki in the late 1960s). He largely eschewed the temptations of orchestral sonorism (although in Holzwege for small orchestra, 1972, he achieved an almost Messiaen-like luxuriance both texturally and harmonically), usually preferring an ascetic palette in which his intense and often bleak reiterations could be given full rein outside traditional modes of discourse. In the 1970s and 1980s, these meditations took on a more defined existential and elegiac hue: he notably drew on the philosophical ideas of authors such as Heidegger (Holzwege), Kierkegaard (Sickness unto Death – Choroba na śmierć, 1976), Joyce (Strings in the Earth – Struny na ziemi, 1980), Beckett (Afar a Bird – W dali ptak, 1981), Nietzsche (La notte, 1984), Kafka (Das Schweigen der Sirenen, 1986) and Borges (Diario, 1987). Aside from his connections with Krauze, however, he remained a somewhat isolated figure, tirelessly and intriguingly exploring a consistent if narrow range of compositional rituals. * Note in 1967 ‘Warsaw Autumn’ programme book, pp.89-90. ** Note in 1970 ‘Warsaw Autumn’ programme book, p.19.